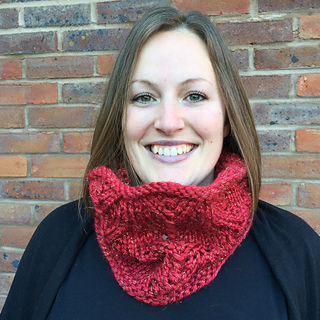 This pattern is available from loveknitting.com for £3.50. 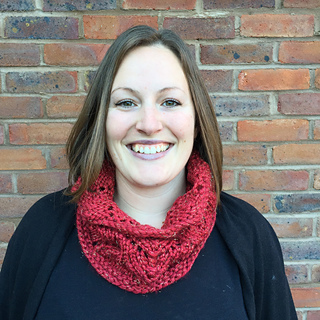 Add a touch of sparkle to any outfit with this simple lacy cowl which is knit top-down and in the round. It takes just 105m (three balls) of yarn and knits up quickly on 8mm needles. 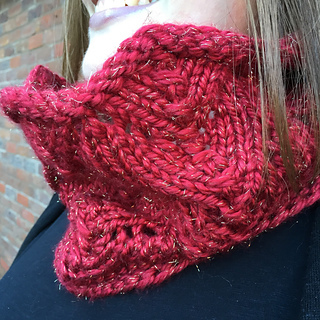 The straightforward lace pattern is suitable for adventurous beginners and the sparkle yarn makes it both snuggly and festive. 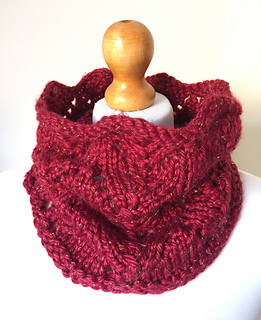 This is a great liftable project which can be knit in an evening or two. Both written and charted instructions are provided and as the pattern is easy to knit, it would be a good project for someone new to lace knitting, or new to reading charts.